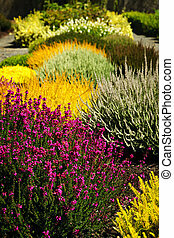 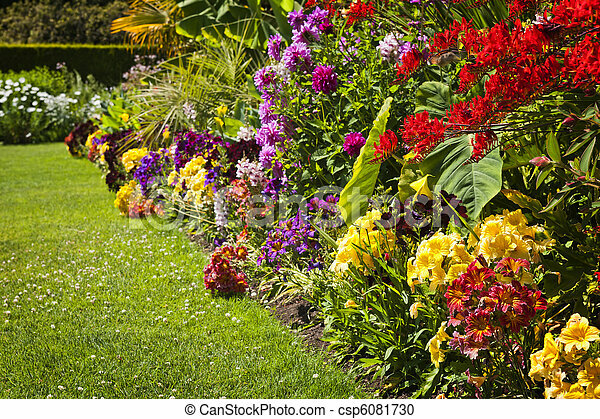 Colorful garden flowers. 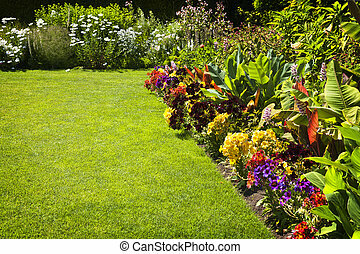 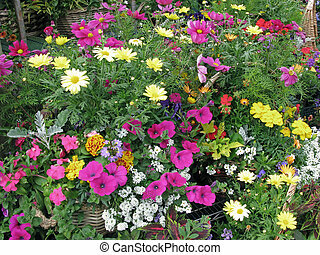 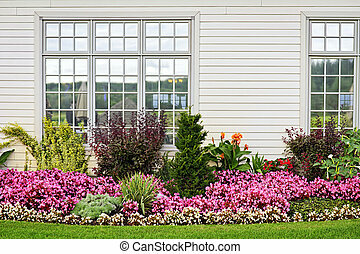 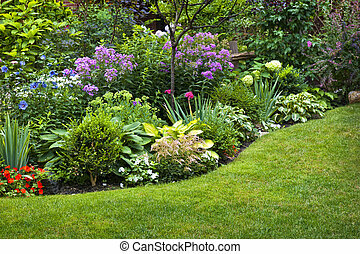 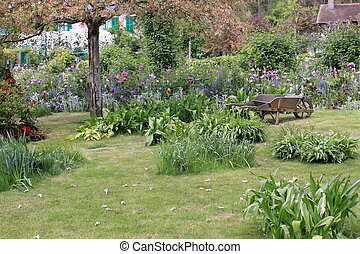 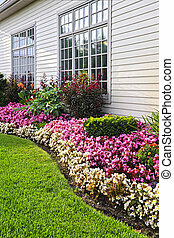 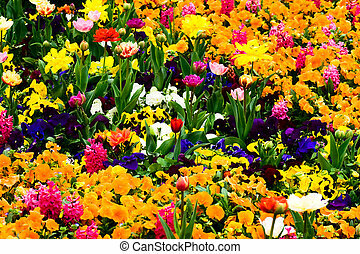 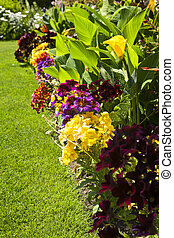 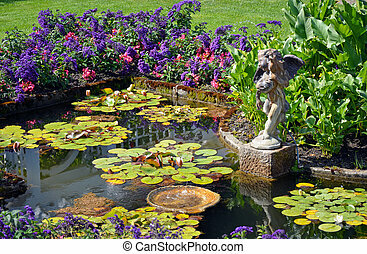 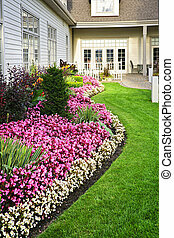 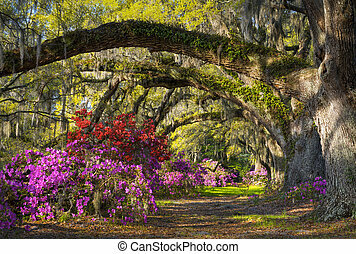 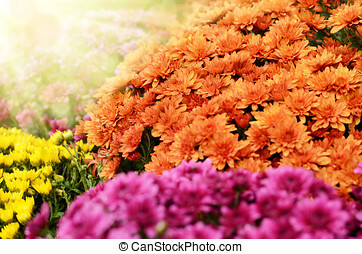 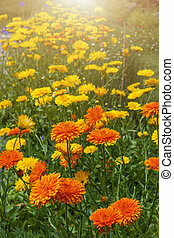 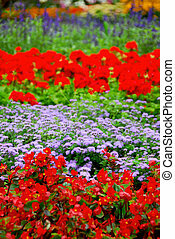 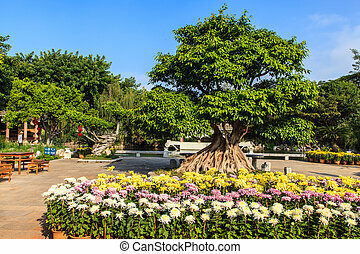 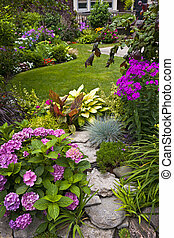 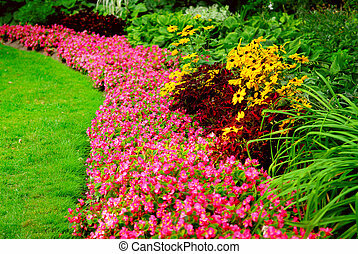 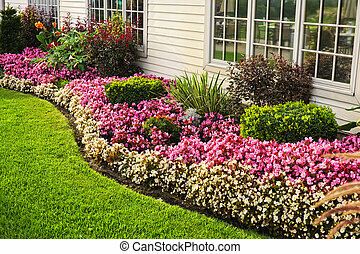 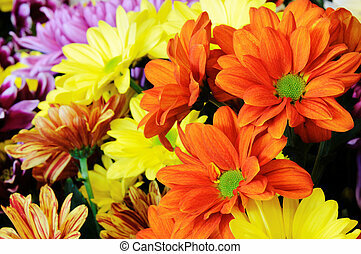 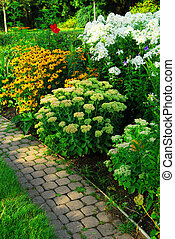 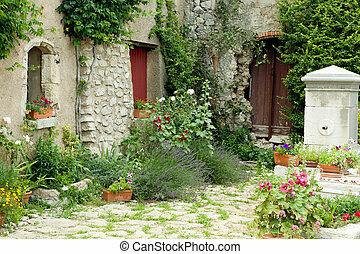 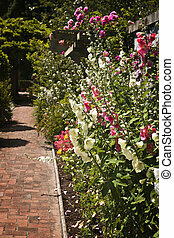 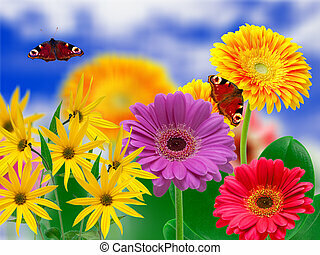 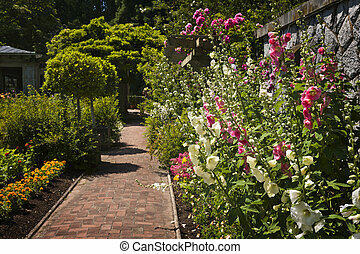 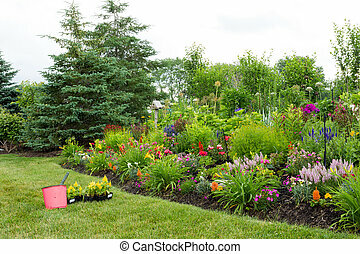 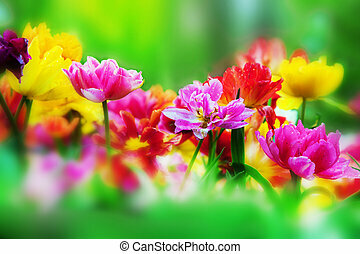 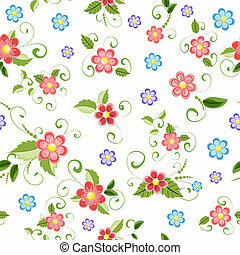 Beautiful bright colorful flower garden with various flowers. 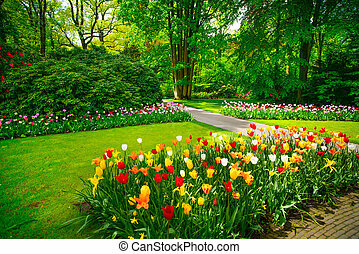 Garden in Keukenhof, tulip flowers and trees on background in spring. 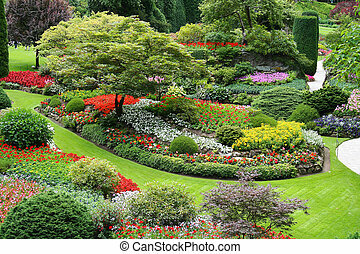 Netherlands, Europe.